Many students opt to receive their degrees through online courses. With rising living and educational costs, many graduate students do not have the time nor financial resources attend sometimes costly traditional, on campus courses. Such a luxury is only a real option if you’re going to college straight out of high school, or if you manage to get a scholarship that covers your educational expenses. Online courses are valuable to those willing to hone their graduate training in a flexible, technologically advanced format. Often completing a master’s degree online is a popular option which enables busy individuals and working parents the only chance to get their degree as they juggle family, employment, and educational responsibilities. Getting a master’s degree in special education is no easy task, but the following schools have excellent programs that also offer online options. 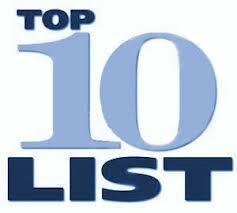 The schools included on the following Top 10 Special Education Master’s Degree Programs Online list were chosen based on accreditation, affordability, ranking, and unique features that raise their programs above the rest to help you find the perfect program to meet your professional, personal, and educational needs. That said, our selection methodology required a lengthly research process. Only schools listed by the most prominent ranking publications (like the U.S. News and World Report, Princeton Review, Times Higher Education, Forbes, and ARWU) were chosen for this list. Additional factors like accreditation by the lead accrediting organizations (NCATE, the Department of Education, NEASC, and others), cost, curriculum, and faculty expertise were considered as well. 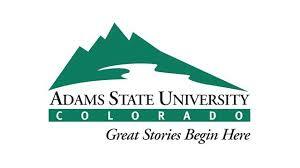 Adams State University is among the top western regional universities according to the U.S. News and World Report. Their Master of Arts With Special Education program is based firmly in the belief that the best way to gain insight into the challenges faced when teaching special needs children is to get involved. In order to ensure that students going through the special educational program at Adams State really know how to advance research in special education, a Capstone research project is required for the completion of all master’s degrees. This project is an internship where graduate students get to apply everything they learned throughout their two year program in a setting working with special needs clients and children. Graduate students are also allowed the opportunity to conduct research, apply, and analyze the information they have acquired throughout their Adams State experiences to better understand teaching techniques and gain knowledge into the field of special education. Adams State University is accredited by the Higher Learning Commission, which is a commission of the North Central Association of Colleges and Schools. Tuition is $320 per credit hour. Baker University offers graduate students the chance to participate in accelerated classes that enable you to fit graduate studies into your existing schedule and lifestyle. The Master of Science in Special Education program allows participants to take one class at a time and still complete the program in less than two years. This not only leads to licensure in special education, but it meets the Kansas State Department of Education standards for K-6, 5-8 or 6-12 special education licensure. Baker University’s programs rank 33rd overall on the US News Best Colleges Rankings and Reviews list. This and other programs are accredited by the Kansas State Department of Education, the National Council for the Accreditation of Teacher Education, and is a member of the University Senate of the United Methodist Church. Boston College prides itself on having the oldest and most established teacher preparation program in deafblindness in the United States. 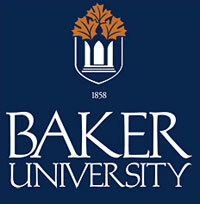 Their renown Master of Education In Special Education Teaching program allows graduate students the ability to concentrate in any of the following fields: Moderate Special Needs; Grades Pre-K-9 and Grades 5-12; Severe Special Needs; Students With Visual Impairments; or Students With Deaf-Blindness and Multiple Disablities. Additionally all graduate students must complete the Sign Language, Braille, Deaf/Blind, or Language acquisition seminars to complete the program. 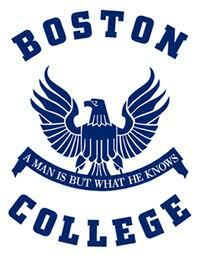 Boston College is accredited by the Commission on Institutions of Higher Education of the New England Association of Schools and Colleges, and it has also been accredited by NEASC since 1935. Tuition cost is $1,212 per credit with research funds available to select candidates. One of the hallmarks of Hunter’s programs is the way they link theory to effective instruction which is why Hunter College has consistently ranked 34th among the Best Regional University’s in the North per U.S. World & News report. The online special education programs are organized into a set of cross-categorical core courses and disability-specific specializations. These core courses deliver knowledge and skills across a variety of disabilities to be applied across a range of education settings. Numerous specializations provide in-depth preparation for working with students within a particular disability area. Both of the core and specialization courses provide historical, theoretical, and clinical perspectives, as well as current research and direct experiences with students of different ages and profiles. Hunter College is accredited by the National Council for Accreditation of Teacher Education. This organization is recognized by the United States Department of Education as a professional accrediting body for teacher preparation and other professional school personnel. All tuition and fees are determined by the City University of New York Board of Trustees and are subject to change without tuition $245 per credit hour. The highly ranking graduate programs in special education at California State University provide a solid special education credential backed by a strong liberal arts foundation. Their programs cover the full range of special needs issues deaf and hard of hearing, early childhood special education, mild/moderate disabilities, and moderate/severe disabilities. Their hands on approach in a nationally recognized “model classroom” site offers graduate candidates opportunities to not only complete their necessary field work but also gain the opportunity to apply their skills and knowledge in preschool, elementary, and middle school settings. With accrediation offered through the Western Association of Schools and Colleges and tuition at $3,906 for up to 6 units or $6,738 for above 6 units, CSU is a great match for many! Drake University ranks #27 among Forbes Top Colleges of the Midwest. Its Master of Special Education program participants gain an extra edge when first getting jobs upon graduation due to the high degree of specialty their education provides. Students have the option of receiving one of four endorsements while working toward their master’s degree. Graduate students can also complete an endorsement-only Master of Science program to obtain additional licenses from the following options: Consultant Endorsement, Instructional Strategist I, Instructional strategist II, or Work Experience Coordinator. These programs are designed to build upon skills already learned during a student’s time in the major to not only apply them but also better understand them. Since 2000, Drake University has been accredited by the Higher Learning Commission and remains a member of the North Central Association of Colleges and Schools. 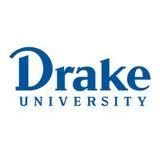 Cost to complete a graduate degree through Drake is $450 per credit hour. 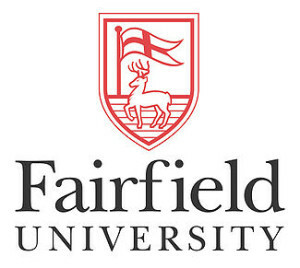 Graduate candidates for master’s degree and certificate of advanced study degree programs at Fairfield get to learn from the second top best providers of online degrees in the nation. Students may choose one of several sequences of study by completing the Connecticut Initial Educator Certificate in teaching children and youth with disabilities in grades K through 12, or a cross-endorsement certificate in comprehensive special education when certification in classroom teaching has already been earned. Courses are based in theory, assessment, understanding the differences of children and youth with disabilities, the development and implementation of curriculum and intervention strategies, special education integration, and the improvement of teacher to teacher, teacher to child, and teacher to parent relationships involving special needs students. Fairfield University is fully accredited by the New England Association of Schools and Colleges which accredits schools and colleges in the six New England states. Such an accreditation by one of the six regional accrediting associations in the United States indicates that the school or college has been carefully evaluated and found to meet standards agreed upon by qualified educators. Cost to complete a degree through Fairfield is $675 per credit hour. Georgia State University’s College of Education not only offers a master’s degree in special education, but they also offer certificate programs to prepare future researchers and university leaders in special education. Their highly personalized programs are designed to match each individual student’s career goals in the fields of Behavior and Learning Disabilities or Multiple and Severe Disabilities. Master and certificate programs cover topics like Autism, Deaf Education, Early Childhood Special Education, Intellectual Disabilities, and Physical Health Disabilities. 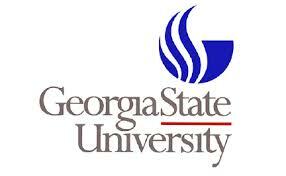 Georgia State University is accredited by the Southern Association of Colleges and Schools Commission on Colleges to award baccalaureate, masters, and doctorate degrees. 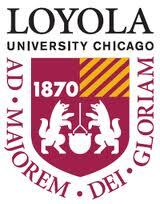 Loyola University’s Master of Education in Special Education online program offers candidates the knowledge and skills necessary to meet the multiple and unique needs of students with learning, behavioral/emotional, mental, and/or physical disabilities at the elementary, middle, and high-school levels. This non-categorical model better prepares teachers to work with a range of complex and/or multiple special needs. The curriculum is designed to provide a special emphasis on integrating research and practice. The School of Education is accredited by the National Council for the Accreditation of Teacher Education and the North Central Association of Colleges and Schools. 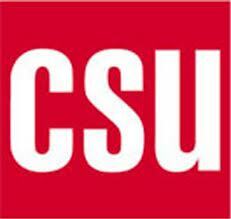 All degree programs that lead to state certification are approved by the Illinois State Board of Education. Tuition is $930 per credit hour. The Master of Science in Special Education programs offered online by National University are aligned with the mission to enhance student performance and ability. Graduate candidates learn how to assess, develop, and implement special needs instruction while promoting student independence. Graduate candidates have three options in terms of specializing their studies in the fields of Deaf and Hard of Hearing, Mild/Moderate Disabilities, and Moderate/Severe Disabilities. With three areas of specialization including the Master of Science in Juvenile Justice Special Education, Master of Science in Special Education, and the Master of Science with Nevada Licensure in Special Education and Endorsement for Generalist Resource Room, graduates often incur a significant advantage over their competition when seeking employment. 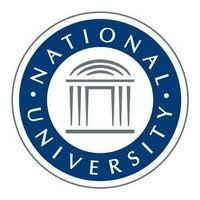 National University has been accredited by the Accrediting Commission for Senior Colleges and Universities of the Western Association of Schools and Colleges since 1977. National’s rank as 13th in the Top 20 of the Online Education Database’s annual accredited college online list ensures quality instruction. Tuition is $372 per quarter unit of study. All schools shown here have been contacted and informed of their inclusion on this list. Schools that do not wish to be featured are immediately removed. School names are the registered trademarks of their original owners. The use of any trade name or trademark does not imply any association with the school. This entry was posted in University Rankings on July 29, 2013 by tjentz. The 20 Best Private Special Needs Schools in the U.S.
What Are Some of the Best Books About Special Needs Children? What are the Highest Paying Jobs in Special Education? How Are Early Childhood Special Education Programs Funded? What Are The Best Undergrad Special Education Programs? What Personality Traits do Special Education Teachers Have? What Challenges Do Special Education Teachers Face? What Kind of International Special Education Jobs Are Available?